All your questions about the apprenticeship scheme will be answered below. 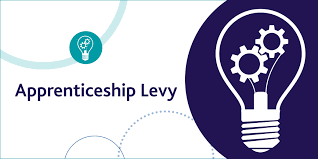 The Government is very clear on its definition of an apprenticeship which is important when it comes to understanding what the Apprenticeship Levy is about and what it can be used for. Apprentices will gain technical knowledge, practical experience and wider skills they need for their immediate and future careers through a range of learning as well as the opportunity to practise new skills in a real work environment. Apprentices must be an employee on the first day of their apprenticeship and be paid, at a minimum, a wage consistent with the law for the time they are in work and in off the job training. The apprenticeship must last at least one year or more if specified in the apprenticeship Standard or Framework. What does the Apprenticeship Levy mean in practice? The Levy with apply to all employers operating in the UK, with a payroll bill over £3m each year. 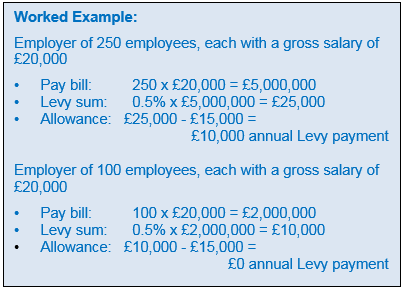 The Levy will be 0.5% of an employer’s payroll bill, paid through PAYE. The payroll bill will cover all employees across the whole of the UK including Scotland, Wales and Northern Ireland. For the purposes of the Levy, an ‘employer’ is someone who is a secondary contributor, with liability to pay Class 1 Secondary National Insurance Contributions (NICs) for their employees. Although earnings below the secondary threshold are not counted when calculating an employer’s NICs, they will be included for the purposes of calculating the amount of levy the employer needs to pay. The payroll bill (earnings) will include any remuneration or profit coming from employment, such as wages, bonuses, commissions and pension contributions on which NICs are paid. Levy will not be charged on other payments such as benefits in kind, subject to Class 1A NICs. The Levy will apply to ‘groups’ of companies but not franchises. The Levy payment will be allowable for Corporation Tax. There will be a time limit of 24 months within which contributions can be spent. How much will the apprenticeships cost? Each Apprenticeship qualification will have a “cap”; this will be the maximum the Government will fund as part of the Levy. Each organisation will agree a cost per learner for each Apprenticeship up to the level of this cap with the training provider they have chosen. Employers will need to consider quality as well as cost when procuring Apprenticeship provision, much in the same way they do now for commercial training. What can and can’t the Levy funds be used for? Employers will not be expected to meet the costs of any English and Maths training requirements which will continue to be met in full by Government. What will happen if I don’t spend the Levy? You have 24 months to use the Levy. Any monies that are not spent after 24 months will be removed from your DAS monthly, with the first month’s money being removed. This money will be used to fund other organisations, including SME provision. What will happen in other parts of the UK? What if my payroll fluctuates? If your payroll fluctuates month on month; either because the business is growing, seasonal variations or due to payment of bonuses/commissions, then the amount being transferred to the DAS will vary as well. This can make planning to spend the Levy more difficult. If for example a Levy paying customer expects to pay £200K in to the DAS annually, but due to bonuses etc. £90K of this is in month 12, then only £10K per month would be being transferred into the DAS. If a programme was designed to spend the full £200K, spending £16.7K per month, then this would be a £6.7K overspend for each of the first 11 months, and the Employer would need to co-invest/contribute 10% of the excess. Can I use the Levy with Contract / Agency staff? There is nothing to stop apprenticeships being delivered to Contract / Agency staff. However, the minimum length of ANY apprenticeship programme is 12 months, and many are longer. Most Contract / Agency staff have much shorter placements, so are not suitable for apprenticeship programmes.